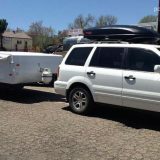 Different popup campers offer various options for cooking, from ovens to ranges to dedicated BBQ grills. 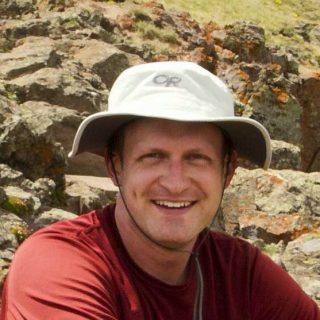 We’ll cover the most common options to help you decide which is best for your needs. Most modern popups at least have an indoor, multi-burner range. These are great for boiling water and cooking other clean items such as in a pot. 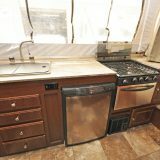 Once you start trying to cook meat, fry bacon, and other messier activities, you’ll quickly find the range, the countertop it is mounted to, and the nearby tent material to be splattered with debris. This is a very bad thing when camping in bear country. For that reason, it’s great to have an outdoor cooking option. Some popup campers (primarily the high wall variety) also have ovens located within the indoor kitchen area. These can be fantastic cooking devices, but just keep in mind the importance of keeping them free of smells when camping in bear country. 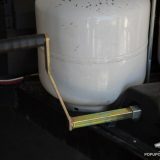 Some popup campers have an option to mount the multi-burner range on an outside rail. 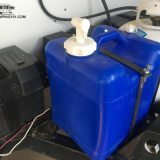 This helps keep some of the messiness of cooking from impacting the inside of your camper. However, your range can still get quite dirty. It’s also more difficult (and some would argue less tasty) to cook meat on a frying pan than to grill on a BBQ grill. 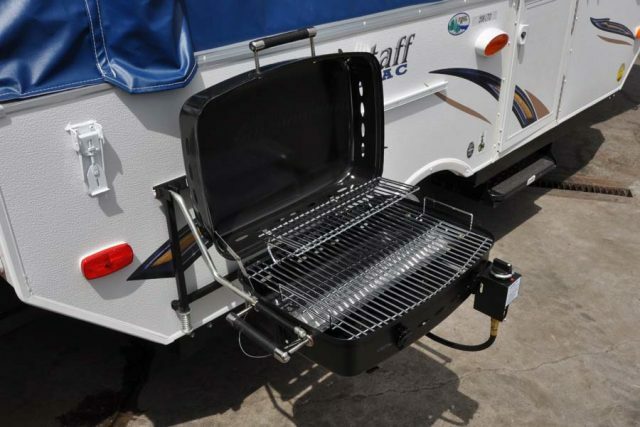 A separate BBQ grill is also easy to store in a tow vehicle or bear box when camping in bear country. For many, a separate, outdoor BBQ grill is preferred. Some campers come with one standard. 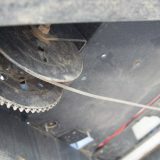 Other times, you can add one aftermarket. 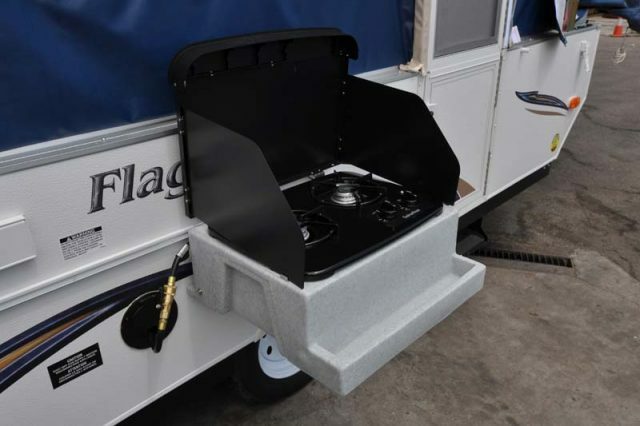 Some larger popup campers, especially high wall units, have a slide out kitchen complete with an additional multi-burner range (one inside, one outside) and even a second sink – all in addition to the outdoor BBQ grill. 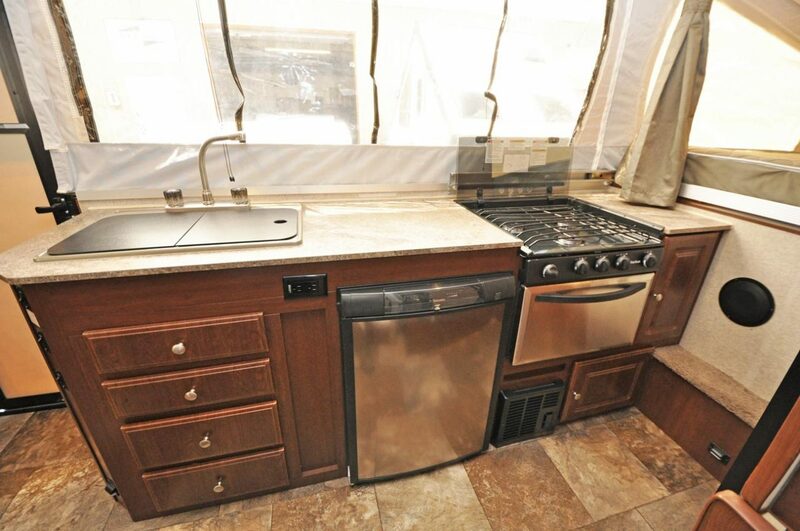 For the ultimate chef camper, this option might be preferred. Just keep in mind that your outdoor camp kitchen needs to remain clean of smells when camping in bear country. Even though everything slides into a secure door, a bear will see that canvas tent material and consider it easy entry to wherever that wonderful smell is coming from!